I hear this song for the first time. Not on the radio, not from a sale in a store, or online, but from a mother that feels this song needs to be heard. She shares with me the story of how this song was first heard by her from a friend. (A song that all mothers, I now personally feel, need to hear.) A song of love, forgiveness, choice. These two mothers, begin the “UNTOLD” Campaign hoping for others to hear this song by word of mouth; creating a website, sharing the video, and spreading the word with a social media campaign as well. 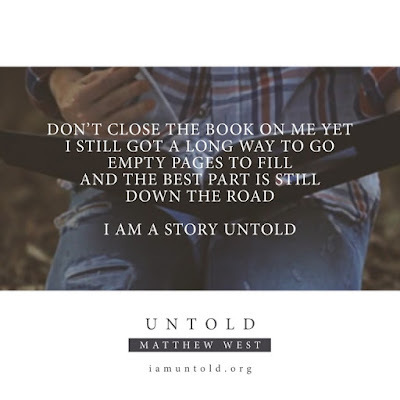 My friend continues to tell me about the journey of this song, how it shares stories of local mothers that had an option, mothers that ask for forgiveness, and mothers that felt there was no choice, my heart was begging to hear the “Untold Story” for myself. 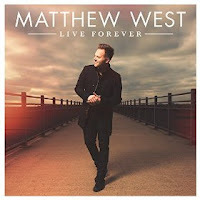 As she sat me down at her office desk, we went online to this beautiful website and this is when I viewed the music video of UNTOLD by Matthew West. My heart felt extremely different for the purpose of this song than what it was set out for. I heard this song from the perspective of ME. As a mother, what is MY story? 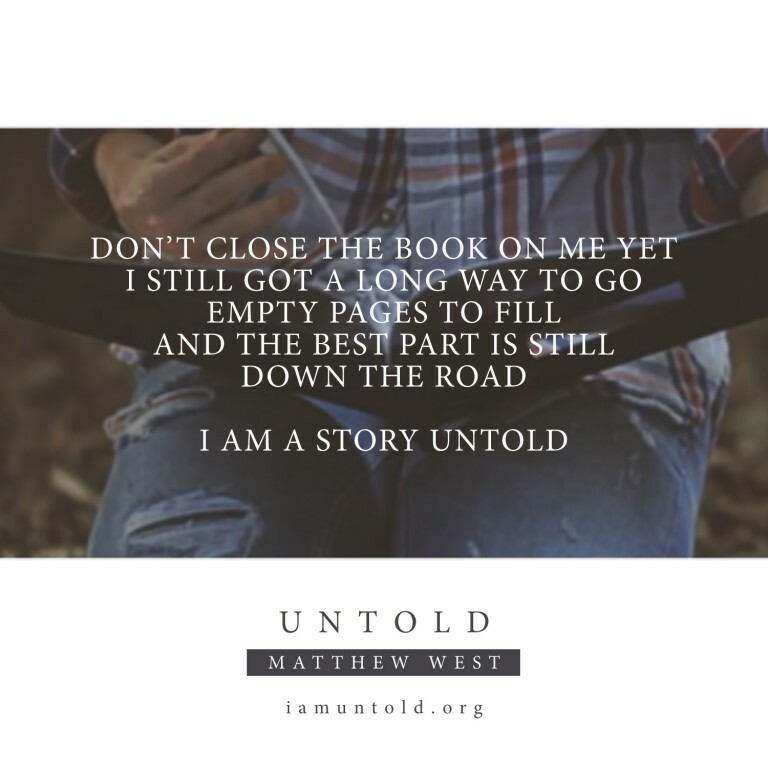 What is MY untold story and purpose that I can set out for HIM, to please and serve HIM? I am a child of God, and what is the Untold of MY book that I need to learn and know. (As mothers, that sounds selfish, right? ME, MY, I?!) But who else do we turn to when WE need understanding, forgiveness, love and guidance? Our Heavenly Father, Our God. We do our best each and every day to be the best mothers we possibly can to our children, what about to OURSELVES? How can we help others and in return, feel that goodness, forgiveness, love and guidance within ourselves? When we first hear the words, “You’re expecting a baby”, our entire world changes, our purpose in life becomes so much more than ourselves. We have a whole new person to take care of and be everything to. Sometimes, that plan takes a direction we never planned on. Sometimes, that story takes an ending we can’t see through. The entire picture of motherhood, planned, unplanned, told, untold, is a difficult road and through it all, WE are the “Untold” story that needs Gods guidance and love more than we ever possibly imagined to get us through moments we can’t do alone. Motherhood is a season, seasons of so many changes. When our child first comes home, when a child first goes to school, when our child is grown, when a child never sees their beginning, when a child is lost, passed…when we as mothers, after that long road, begin a new season for ourselves and see OUR purpose of what we are set out to do (OTHERTHAN Motherhood), after our children are set out to serve their purpose. This song, to me, is MY GIFT of the Untold. I am a child of God and what now, is my purpose through a new season of motherhood with Gods guidance and miracle that he is working on through ME, am I on the path, direction that fulfills my heart and Gods? Our life every day is so sacred, what is MY work that He has called me to do? As Mothers, we ask God to please don’t close the book on US yet. We still have a long way to go. Empty pages to fill and the best part still is down the road. WE, as mothers, are the story, UNTOLD. Please share this song, this should not be a song of silence but a voice that all mothers need to hear and know that they are never alone in their Untold Story. CLICK HERE TO VIEW "UNTOLD"
Thank you to my beautiful, best friend Angie, for always encouraging and inspiring me to be a better person everyday. I'm so glad she took the time to do this video together, we always have so much fun no matter what we do. We just hope to share and inspire you to smile, laugh, love & embrace your day, and maybe even pee your pants just a little!! GO PACK! GO!!! So its fifteen days into 2016. Many of us started with that nice clean calendar, already filled it up with kids schedules of activities, parties and events coming up and many of us revised our goals and plans for the upcoming new year and what we'd like to accomplish. What makes every year so different? A fresh start, a new beginning, a clean slate! I love January, (besides it being one month away from my bday, woowoo!) the house is all clean & fresh once the holiday decor is down (ok, mines going down this weekend!). Schools back in session, new activities start up again, people start new health and fitness goals...then within 21 days...its all over with. Yes! 21 days people already QUIT! GIVE UP! It takes 21 CONSISTENT DAYS to start a habit and people quit within the first 15! WHAT IN THE WORLD?!?!?! So stop it! Not stop making resolutions, stop quitting what you didn't even completely start & fully commit to in the first place! ha! How can you quit something you never gave a fair chance to?